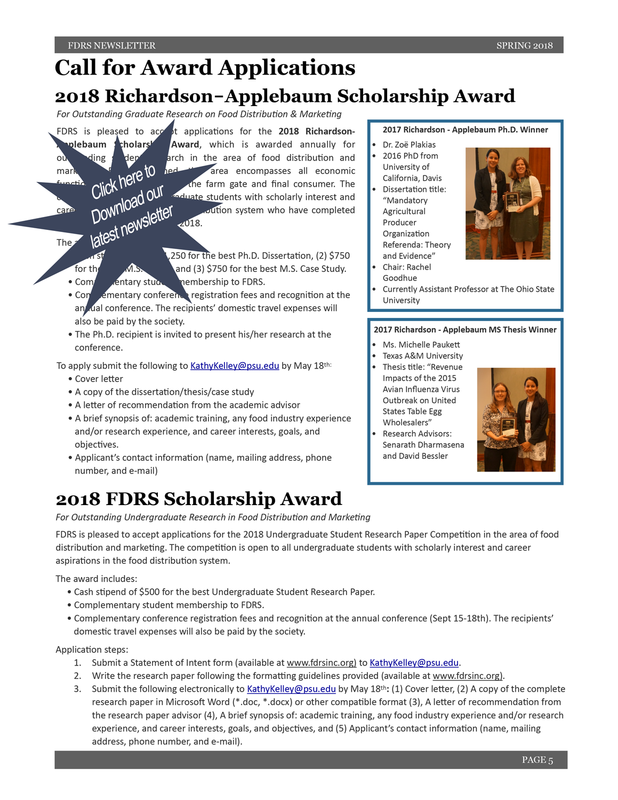 Newsletter | THE FOOD DISTRIBUTION RESEARCH SOCIETY, INC. The FDRS Newsletter reports on Society events and happenings as well as related news from the industry and abroad. You can sign up below to receive a copy of our next newsletter as soon as it becomes available.